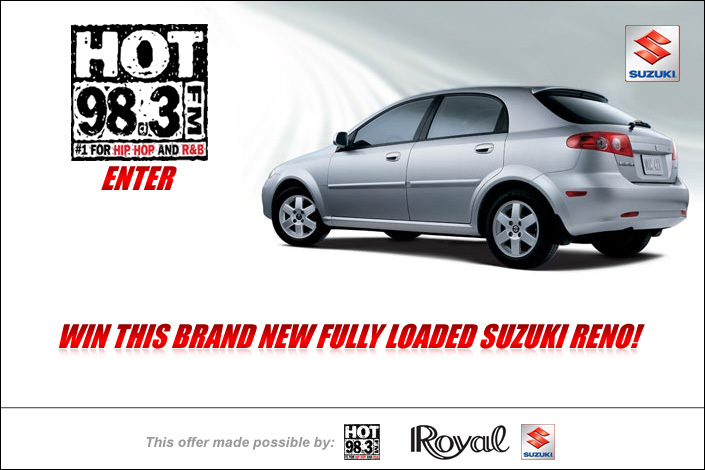 For one of the year’s biggest contests, HOT98.3 partnered with Royal Suzuki to giveaway a car to one lucky listener. The promotion consisted of various elements. For this project I was asked to design a splash page promoting the contest. The goal was to generate hype for the contest while incorporating Suzuki’s branding elements within the larger context of HOT98.3’s website.